If you or a family member were severely injured at a Florida Water Park, then you are strongly advised to find the best Florida water park accident lawyer to assist you. At the Wolfson Law Firm, our Florida water park injury attorneys will provide you with a confidential and free of charge consultation. We also have offices in West Palm Beach, Fort Lauderdale and Miami where we can see you by appointment. Call us now at (855) 982-2067 and let’s discuss your water park accident and what we can do for you. Water parks excite many adventure seekers every day. Trying to attract as many new visitors as possible, these major water parks keep introducing new features every season. In such a competing market, there is an ongoing race among water parks for providing the scariest waterslides experience of the lifetime. Unfortunately, the race to wow people sometimes means neglecting their safety, and that results in personal injuries. According to a report by the International Association of Amusement Park Rides and Attractions, every year, around 4300 people seek for medical help during their trip to an amusement park. However, most of these cases end up unreported, as people tend to avoid opposing large corporations standing behind water park operators. They are afraid to take them on, and sometimes they don’t even know that the water park may be liable for the personal injuries they had while trying to have fun. Another major reason for water park personal injuries might be the untrained staff that operates around the park and sometimes even supervises it. When cutting costs takes priority over visitors’ safety, many accidents are waiting to happen. People are getting many different injuries including head injuries, neck injuries, broken ribs, broken wrists, skin burns, and others. When you or your loved one’s day in the water park has turned into a nightmare, call a Florida water park accident attorney to discuss your case and get some legal help. Accidents in water parks happen all the time and the water parks count on good folks either not calling a lawyer or trying to represent themselves. Make sure you are not one of them. Get the answers and information you need so you can get the justice and compensation you deserve. Florida water park operators are liable under Florida premises liability laws. According to them, they are obliged to take all the necessary measures to provide a reasonably safe environment for guests. 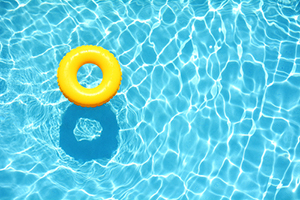 There are numbers of steps that operators should take, such as maintaining their premises properly, keeping the waterslides safe, limiting access to dangerous areas, securing sufficient number of lifeguards and many others. If failure to stay up to this duty leads to a personal injury of a guest, this could place legal responsibility on the shoulders of the water park operator. At the Wolfson Law Firm, our Florida water park accident attorneys are ready and available to help you. We have had the privilege of representing injured victims since 1963 and we would be honored to have the opportunity to speak with you about your Florida water park accident. Call us at (305) 285-1115 or toll-free (855) 982-2067 for your free consultation.